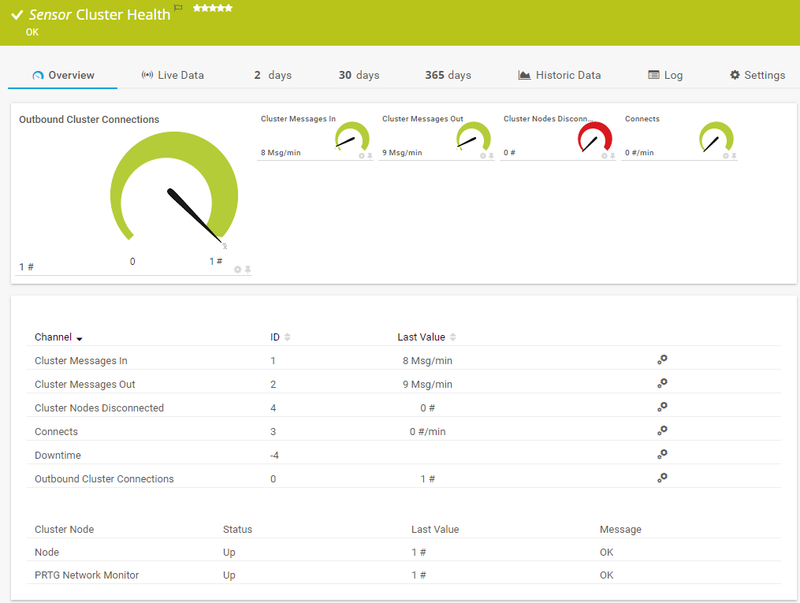 The Cluster Health sensor monitors the health of a PRTG cluster and indicates PRTG's own system health status. If at least one cluster node is disconnected, this sensor shows a Down status by default. On the sensor's Overview tab you can review the states of each cluster node. On the monitoring data review tabs you can choose the cluster member of which you want to show data (or of all nodes).